Have You Notified Parents of Your Holiday Schedule Yet? We are less than 5 days away from Thanksgiving and I hope that you have already planned your holiday schedule and notified your parents of your holiday closing schedule. Many Child Care providers plan their holiday schedule at the beginning of their preschool year and issue it to parents. Many family home providers follow me on social media and one of the questions that I get shortly before the holidays is: How many days will you be closed for the holidays? Every year during the holidays I close my center for Thanksgiving and the day after Thanksgiving. Also, during the month of December, I close Christmas Eve, Christmas Day and New Years Eve. When I was a home daycare provider, I closed my business the last week of the year and the parents were notified (in writing) of the closing 6-months in advance. **Parents do not like it when they are not giving enough notice for planned closings. Whatever your holiday schedule may be; I hope that you take some time to enjoy the holidays with your family and I challenge you to do something special for the families in your childcare business this holiday season. 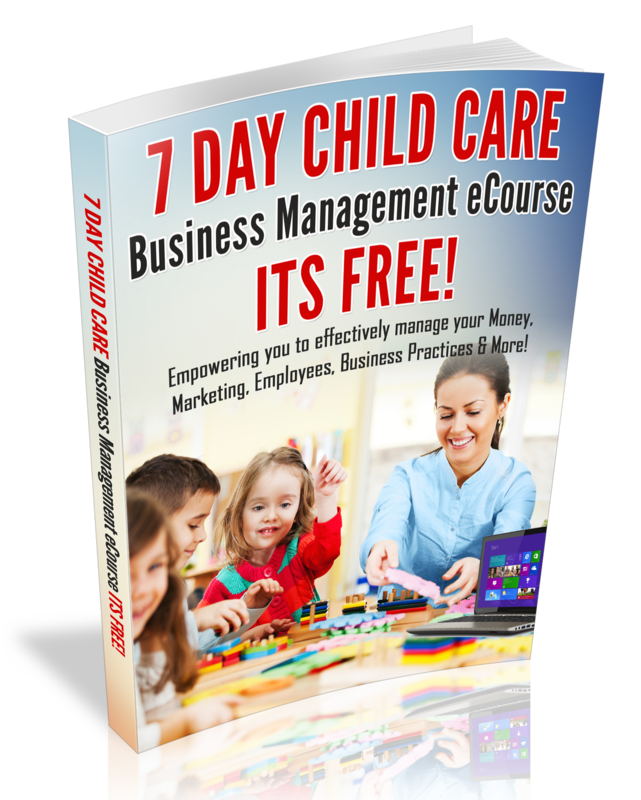 Be sure to subscribe to my weekly childcare business eNewsletter and business tips. Subscribe now! I love it when the holidays come! In fact, I look forward to taking photos of all the fun enriching holiday activities that my staff and I plan for the children during the months of November and December. Moreover, I just love the spirit that is in the air during the holidays. Furthermore, every year for the last 14 years, I have planned many of the same events and activities that have now become a tradition in my childcare business. Today I am going to share with you some of those activities and events with you! Plan a field trip to a local nursing home or school, so that the children have an opportunity to do some Christmas caroling. The day after Christmas, invite the children to bring a gift that they received for Christmas to share with their friends. Decorate your home or center with plastic poinsettias and garland. Don’t forget to play holiday music throughout the day! Hang a stocking for every staff member and encourage the staff to periodically bring small gifts for one another. This will create more unity amongst the staff. Add peppermint extract to the paint. The kids will love that scent while painting. Give the kids green yarn and encourage them to create a Christmas tree. You will also need glue and scissors for the children to cut the year. I hope that you have enjoyed the holiday ideas! Do you have ideas? Feel free to share your holiday fun ideas below.